Greater volumes of recurring customers mean that manual billing processes get tedious and time-consuming. The processes become highly susceptible to inaccuracies caused by manual errors. As a subscription-based business scales up, the processes around invoicing, payments, and revenue recognition are nearly impossible to sustain manually. It’s at this point that most subscription-based businesses usually start to explore recurring billing platforms to streamline and automate their billing systems. As a Senior Sales Engineer, I provide technical information about the Fusebill subscription management and recurring billing platform to both the sales team and customers, while answering any questions they may have. 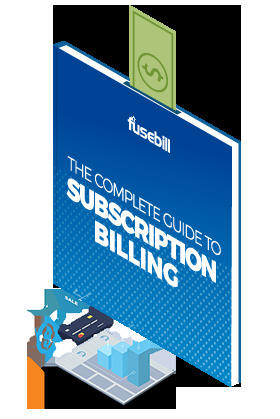 During these calls, customers frequently ask me how their current billing process will work in the Fusebill platform. I'm also asked what kind of changes can be expected when switching to a recurring billing platform. Typically, what these customers actually want to hear about are the challenges they might experience, versus the positive changes that come with automated billing. While it makes sense to manage risks, it’s important to understand how any minor challenges are outweighed by all the advantages of moving away from a manual billing system and switching over to automation. Invoicing customers can be a time-consuming process if you have to manually look up every customer and determine their subscription plan and bill out accordingly. The process is only further complicated when customers want to make changes to their plans, requiring you to manually track every new add-on, product removal, and customer update. With over 1,600 regular recurring customers and several different pricing packages, one of our clients, Uberflip, figured out pretty quickly that their manual billing system was becoming unmanageable. Uberflip decided to start using Fusebill to automate and streamline their recurring billing process. Before Fusebill, Uberflip’s monthly invoicing took up to 5 days to complete. The process has now been reduced to just one day, and the billing team is extremely pleased that this frees up 40 hours every month. A recurring billing platform saves you time spent on sending out invoices and collecting payments on a recurring basis because these tasks are all automated. This will allow you to just ‘set it and forget it,’ which can save your billing team several hours every week. A self-serve portal also gives customers the freedom to change their own preferences, see their invoices and make payments, which saves your team even more time and effort. Recurring manual billing processes increase the risk of human error and can lead to several mistakes and inaccuracies in customer invoices. As the repetitive, manual activity increases, so does the risk of inaccuracies. Apart from the errors being expensive, there are also long-term costs associated with decreased customer satisfaction. With automation, customer information or subscription plans only need to be entered into the system once. This means that any time you add a new subscription, the information will always be accurate every time a customer is invoiced, whether you have 5 customers or 1,000 customers. Automation means that you can drive and scale your business with confidence. Every company wants to know what’s happening with their business behind the scenes and what the data points to. For SaaS (Software as a Service) and other subscription-based companies, access to relevant reports is a critical element of monitoring the health of the business. Through reporting features, you will gain important business insights that will allow you to project future revenues. Easily accessible reports allow you to see what’s working and what isn’t. This will help you make informed and strategic decisions going forward. Sales. It’s important to keep track of your sales in case there are any payment issues, like an expired credit card or a lack of funds. In the case of problematic customer payments, it’s important to have a record of what each customer owes your business. A recurring billing platform allows you to segment and analyze the data in several ways, which will give you a good overview of our business. Cash. The reporting function of your billing software provides visibility on not only the payments from customers, but also lets you look at the data, so you can see where exactly these payments are coming from and how your customers are paying for their services. Revenue. With subscription-based businesses, revenue can only be recognized as the customer receives the value of the goods or services they paid for. So, if your customer is signed up for a monthly subscription plan and pays $10 a month, you can only recognize $0.33 as revenue every day until the end of that 30-day period. Tracking revenue in a subscription business is difficult to do manually and without errors. The revenue must also be calculated according to the new GAAP (Generally Accepted Accounting Principle) standard, ASC 606. A recurring billing platform, however, handles revenue recognition automatically. For a number of Fusebill users that are moving their Fusebill information into an accounting system, looking at the Revenue report by GL (General Ledger) code makes their jobs so much easier because all the numbers are already broken down. That functionality alone has been a huge benefit to our customers. Monthly Recurring Revenue (MRR). Monitoring the monthly revenue from all your active recurring subscriptions can be used to track the performance and growth of your business. Tracking this value sheds light on how well your business is growing or contracting and by what percentage. One of our clients, a SaaS company, recently made an acquisition which expanded their customer base from a few hundred to several thousand. They were using basic accounting software. This made collecting payments and staying on top of their large volume of newly-acquired customers a challenge, especially since they were unable to process credit card payments. The Fusebill system not only helped them to set up three different payment gateways, allowing them to accept card payments, but also helped them manage their customers more efficiently, which simplified the collections period significantly. The reason a modern recurring billing platform makes collecting payments so much easier is because it automates the invoicing and collections process. It also flags customers that haven’t paid and automatically sends out past due notices. By automating these proccesses, you’ll know immediately when customers’ payments have not gone through, so you can pinpoint which clients you need to focus your attention on. For B2B SaaS company instream, Fusebill’s tracking capability helped improve customer satisfaction and mitigate against churn. Having easy access to clients’ accounts gave instream important insight into their customers’ behavior that helped to identify any risks of churn. A recurring billing platform also allows customers to receive automated email notifications once payments are received, which is another great way to enhance your customer relationships. Regardless of how much money an invoice is for, customers always appreciate receiving that small thank you from your business. In fact, just that simple ‘thank you’ alone can increase your chances of getting paid by 5%. An advanced recurring billing platform like Fusebill is beneficial to any business from a security standpoint because it is PCI 1 compliant, which means all credit card data is always secure. Adding an extra level of security is the ability to change your settings to only allow certain people within your organization to carry out different functions. This feature of a robust automated billing system gives you total control over who can do what on your billing platform. For a lot of businesses, a high level of security is a huge priority when selecting a recurring billing platform. When Expedia Cruise Ship Centers first signed on with Fusebill, PCI 1 compliance was a huge factor in their purchase process. Assuring the safety of customer data is an increasingly vital aspect of any technology solution. A subscription management and recurring billing platform like Fusebill will allow you to integrate your recurring billing system with your CRM (Customer Relationship Management), Revenue Recognition, Accounting, Business Management tools, and Payment Gateways. Salesforce integration is one of the most popular options. A big advantage of the Salesforce integration with a recurring billing platform is that anyone within their organization can see what a customer is subscribed to. And because your data is automatically pushed into Salesforce, anybody can just log into Salesforce and see details of the record, which creates more transparency across the organization. This facilitates collaboration across departments to foster growth. For the SaaS company mentioned earlier, the fact that Fusebill was able to integrate with Salesforce and push all their data into the CRM was a huge benefit for their sales team. Having their recurring billing system in sync with Salesforce gave their sales team access to subscription and product information from Fusebill in Salesforce that could be used to build contracts, tying the billing information directly to the sale and contract that is entered. The risks from continuing to use inefficient manual billing processes are too great for a majority of businesses we speak to. Manual billing processes slow you down and hold you back from scaling your subscription business. Automation not only streamlines your invoicing process, but it eliminates errors resulting from manual billing, and helps you derive important business insights that you can leverage to help you grow. Donna is a Senior Sales Engineer at Fusebill. Donna has a strong track record of success of translating business process gaps and impediments into workable client-specific solutions across the Subscription Management and Recurring Billing business model.